This region includes Guam, Hawaii, and the Northern Mariana Islands. The Hawaii/Pacific region may have small HSA membership numbers but makes up for it with a distinctive geography influenced by the strong presence of Japanese culture throughout the region. For about thirty years Darold D. Braida and others organized the Hawaii Education Association’s annual haiku contest, resulting in scores of anthologies showcasing the work of both students and adults. Longtime member Helen E. Dalton was one of the oldest American poets writing haiku when she passed away in 2004 at the age of 103. On Oahu, Hawaii is home to the infamous Haiku Stairs. And if you ever wanted to live in Haiku, there’s a town by that name on the island of Maui, which is home to haiku pioneer James W. Hackett (and also poet W. S. Merwin). The University of Hawaii Press has occasionally published haiku-related books, notably Heiwa, an anthology of peace-related haiku, in 1995, and academic books such as Peipei Qiu’s Basho and the Dao: The Zhuangzi and the Transformation of Haikai, Lucien Stryk’s On Love and Barley: Haiku of Basho, and Stephen Addiss’s Haiga: Takebe Socho and the Haiku-Painting Tradition, among others. 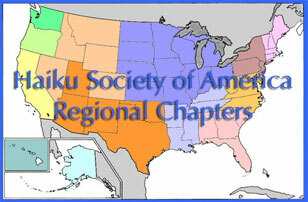 For more information about the region and its activities, please contact the regional coordinator. Brett Brady has lived and worked in many places both domestically and abroad, working as a teacher of the gifted, talented, deaf, and multi-handicapped. He taught grammar school, high school and university, and had a Montessori school when his daughter was of an age to attend it. He attended USC and received his postgraduate degree from Dalhousie University in Nova Scotia. 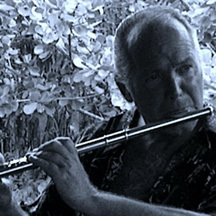 He is an accomplished musician, poet, director, and author. His poetry and songs are award winning, and many of his haiku and senryu are published worldwide. Brett lives in Hawaii, on the Big island, where has resided for nearly a quarter of a century, and raised his daughter in the lush beauty of its terrain and life-style.